Share this Website - Tongs-paper-cutting.com. I hope you have to really enjoyed Tongs-paper-cutting.com. You are welcome to share this site to your families and friends. Please choose any of the links below that you would like to add into you website or blog, copy and paste the link code from the box into your website or blog. Thank you! If you have any questions, or if you want to link back to this site please Contact Me. A free tutorial website to fold and cut, unfold cut and the methods of paper cutting art. Presented with the use of pictures, videos, how to easy paper cut and discussion on paper cutting. A free tutorial website to fold and cut, unfold cut and the methods of paper cutting art. Presented with the use of pictures, videos, "How to Easy Paper Cut" and discussion on paper cutting. copy and paste the above code into your website or blog. Here has some more fun and easy paper-cutting for kids. A resource site for parents, preschool and elementary school teachers to do paper crafts with childrens. Lots of free patterens for you to enjoy. Tong's unique original handmade paper-cutting pictures gallery. And also has free online Paper-Cutting art instructions; step-by-step learn how to make folding and cuting, unfolded cut paper cutting pictures, lots of free patterns to enjoy. 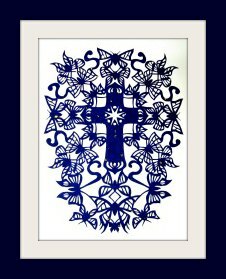 Tong's unique original handmade paper-cutting pictures gallery. And also has free online Paper-Cutting art instructions; step-by-step learn how to make folding and cuting, unfolded cut paper cutting pictures, lots of free patterns for you to enjoy.